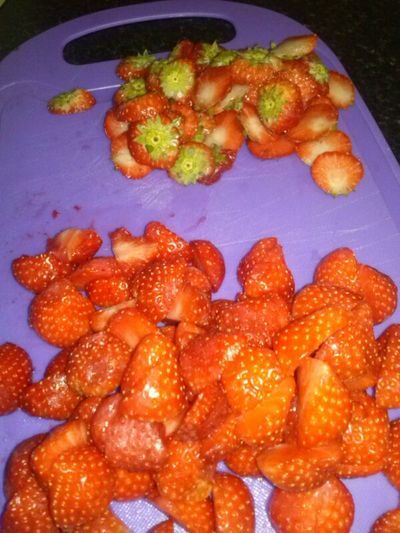 Strawberry jam is a family favourite - spread it on toast, stir it into yogurt, or top porridge with it. I've even been known to rub it into pork joints, for exceptional flavour and glaze. 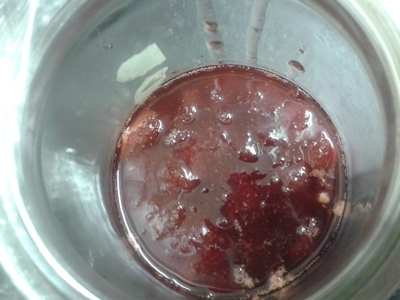 Jam, however, can be an expensive, and high-sugar treat. A lot of the time, organic, and local jam can be pricey because it is made my independents, and I'm all about supporting local people. However, no matter what the ingredients state, there's little more satisfying than making your own. 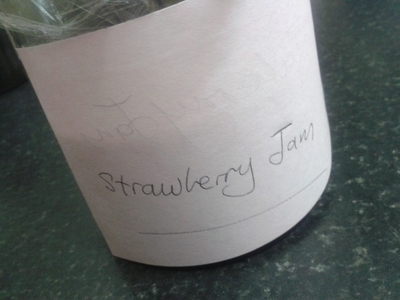 Being able to control the sugar content in jam is essential when making for my family. In total I have six nieces and nephews, all under five years old. 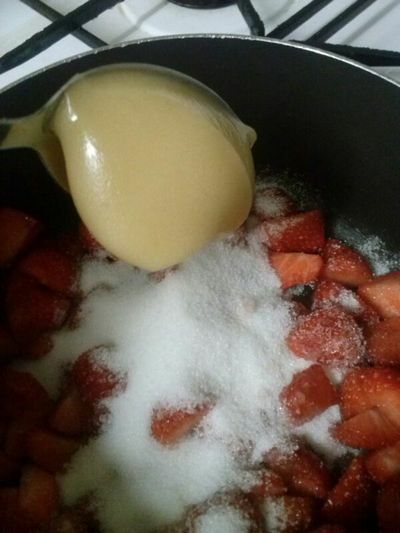 Thus, it is imperative that the jam I make is low in sugar, but also tasty. 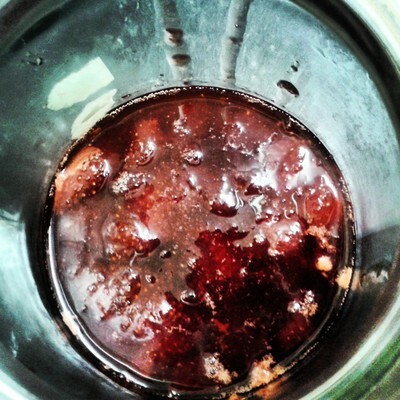 Follow my recipe for a basic strawberry jam, which can be tweaked to your taste (vanilla, cloves and ginger, compliment this recipe beautifully). 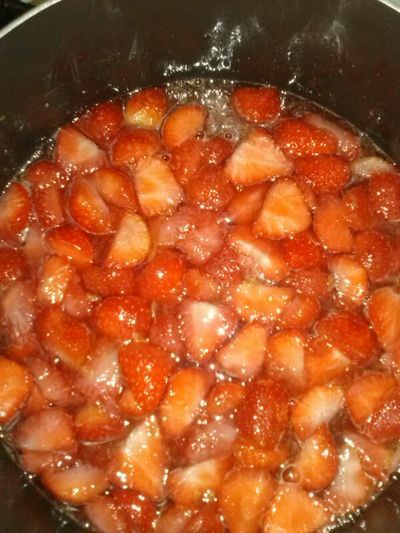 Hull the strawberries and wash.
Add the strawberries, sugar and honey to a large saucepan and warm over a low heat for 5 minutes. 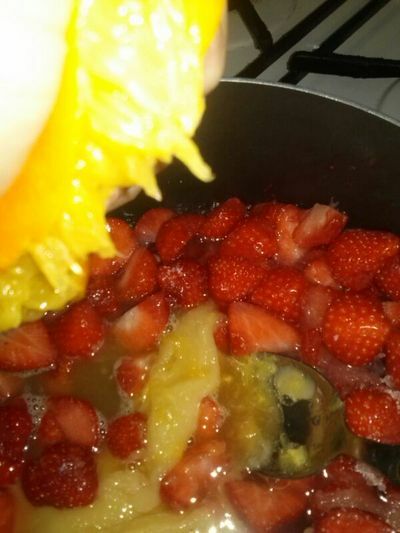 Squeeze in the juice of the orange, whilst cooking. Pour into a jam-like jar. Label (if necessary), cover, and place in the fridge for up to one week.